the likes of composer Chico César, cellist Jaques Morelembaum and singer Monica Salmaso. In 2013, she launched her first self-authored album, “Sonhos de Nascimento” (Biscoito Fino label), with guest participation of percussionist Nana Vasconcellos, among others. After this record, she made international tours around Europe, Asia and South America. 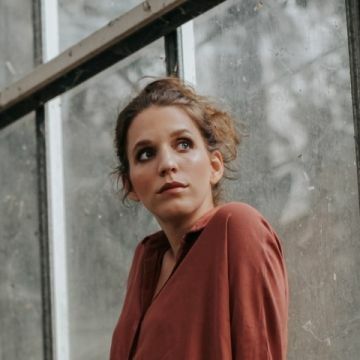 At the end of 2015 came her second album, named “Primeiro Céu”(Fina Flor label), having since established the trio formation besides her husband Julio Falavigna on drums (who also co-produced both albums) and Antonio Porto on bass. This record had special apeearances by singer Jane Duboc and harmonica player José Staneck. All throughout, besides her own compositions, her fathers’repertoire remained part and parcel of her soul, being somewhat always present during the performances. In this year, celebrating Egberto’s 70th Birthday, Bianca decided to put together a full set-list in his honour, with many of the compositions which became hallmarks of his career. Classics such as “Palhaço”, “Lôro”, “Água e Vinho”and “Maracatu” are in this new show which has been captivating audiences worldwide in 2018 as well as a homonymous CD to be released by Hunnia Records in 2019.